YEREVAN, Armenia – On November 1, 2013, the American University of Armenia (AUA) hosted a public lecture by Ken Wilson entitled “They Aren’t Mixed Ability, They Are Differently Talented,” sponsored by the British Council Armenia. AUA Provost Dr. N. Dennis Leavens opened the lecture by welcoming Wilson and his colleagues from the British Council Armenia on behalf of the President, faculty, staff, and students of AUA. He mentioned that AUA students share common features: they are high-functioning, multilingual students who seek professional training and personal fulfilment in the classroom. At the same time, each individual responds differently to different teaching methods. He mentioned that Wilson’s lecture would contribute to identifying, appreciating, and celebrating these individuals and their differences. In his lecture, Wilson listed the possible varieties of students in mixed ability classes—those with different proficiency levels, those who are ‘fast’ or ‘slow’ learners, those who have varying levels of interest in English (and studying in general), those from different backgrounds (i.e. family, previous learning experiences, world exposure), and those with different kinds of intelligence. Wilson also addressed presented methods for creating a classroom environment that engages all students, such as taking the time to find out each student’s strengths and background knowledge. 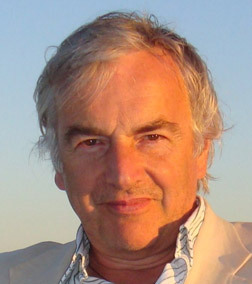 After working as an English teacher and teacher trainer in Spain and the United Kingdom, Wilson became involved in the English Teaching Theatre as a performer, writer, and artistic director. He has produced many materials on teaching, including books, plays, and songs. Wilson currently works as a teacher trainer all over the world.